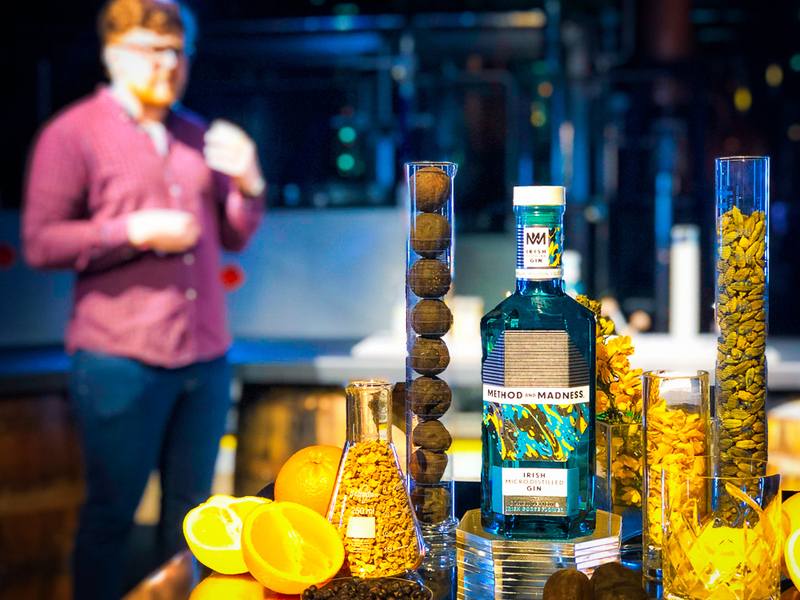 It’s the warmest day of the year so far, a balmy February morning which shouts “Spring is here!” with its blue skies and ‘winter-is-behind-us’ tepid freshness, and we’re on a bus hurtling down the M7 to East Cork to witness a new chapter in the gin distilling history of this part of Ireland – the launch of Irish Distillers‘ new super premium gin, Method and Madness Gin at the Midleton Distillery. 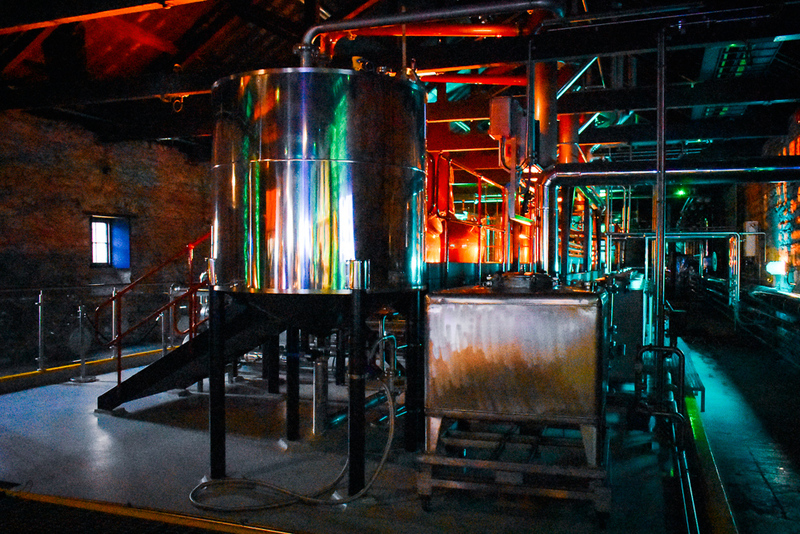 In 2015, Irish Distillers, based at the Midleton Distilleries, famed for its Jameson, Redbreast, Tullamore Dew, Powers and Spot Whiskeys, opened a micro distillery to play around with mash bills and distillation techniques. 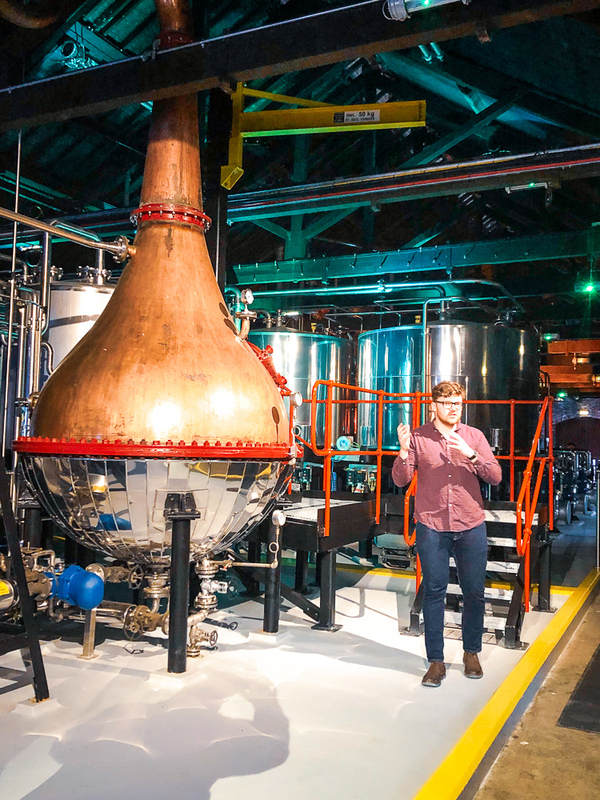 We arrive at the distillery and are welcomed, in a large press corp, by the two guys at the helm of the micro end of the huge-scale distilling going on here – Master Distiller Brian Nation and Apprentice Distiller Henry Donnelly. 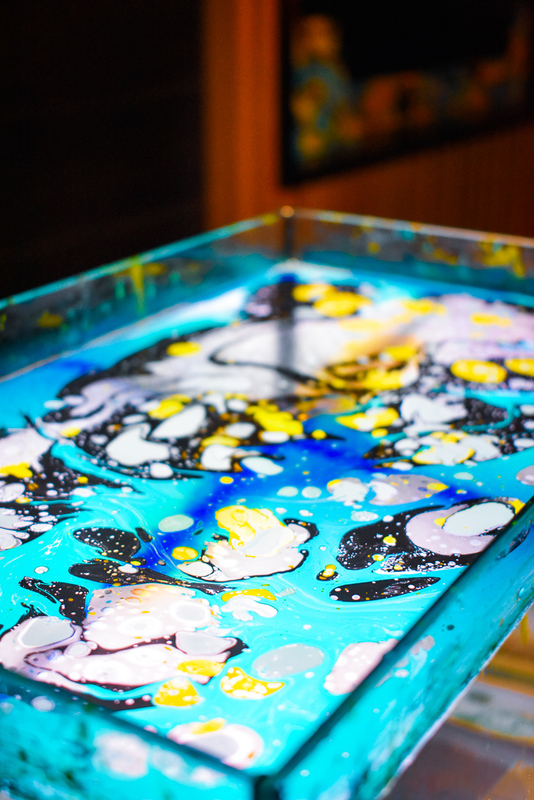 “Liquid experimentation” is the name of the game here, we’re assured and it’s where the essential skills and techniques are passed on from master to apprentice. Henry tells us “it’s all about pushing boundaries and being innovative, showcasing the creativity of the master through the development and curiosity of the apprentices”. 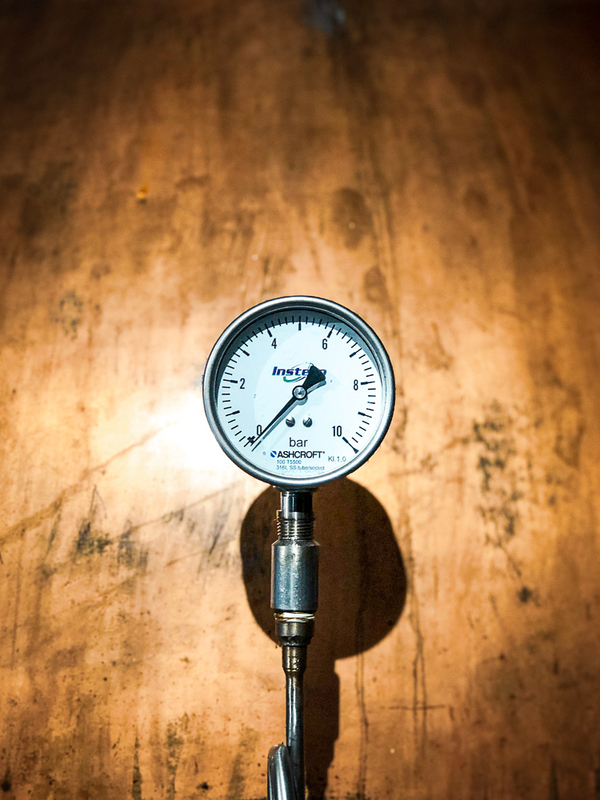 Always listening, learning, adding skill and being taught attention to detail, Brian Nation adds: “we preach precision but always leave the door open for innovation”. 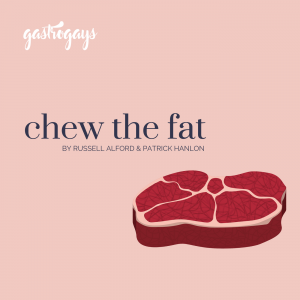 Based loosely around the famed Shakespearean quote “Though this be madness, yet there is method in’t”, Method and Madness as a brand has curiosity and an inquisitive “what if?” at its heart whilst staying true to heritage and technique passed down through generations. 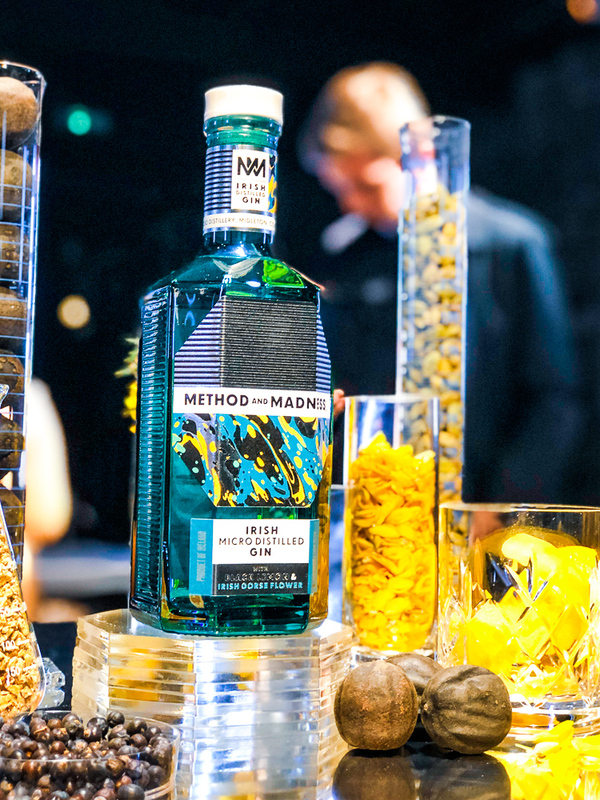 The resulting ‘experimental’ whiskies from the first two years of this micro-distilery are quietly maturing at present… but Method and Madness Gin is the very first product to market from within these walls. 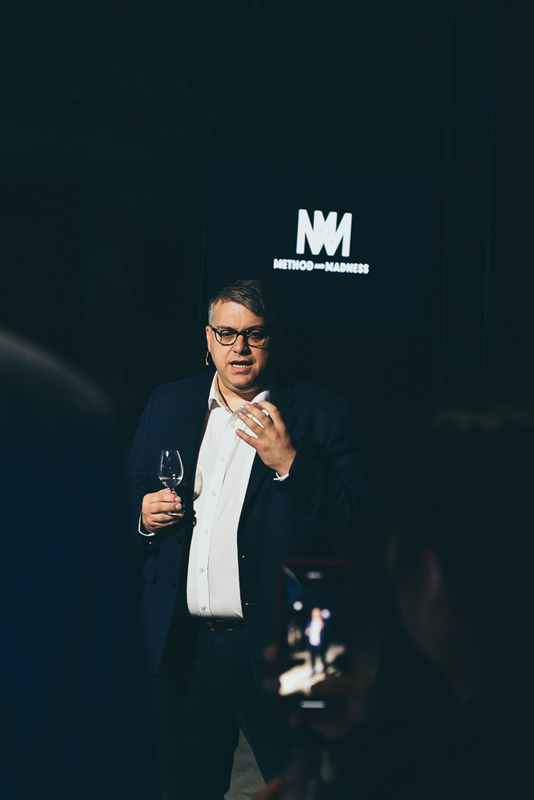 This new launch coincides, probably not coincidentally, to the day of the second anniversary of the launch of the Method and Madness whiskey range. 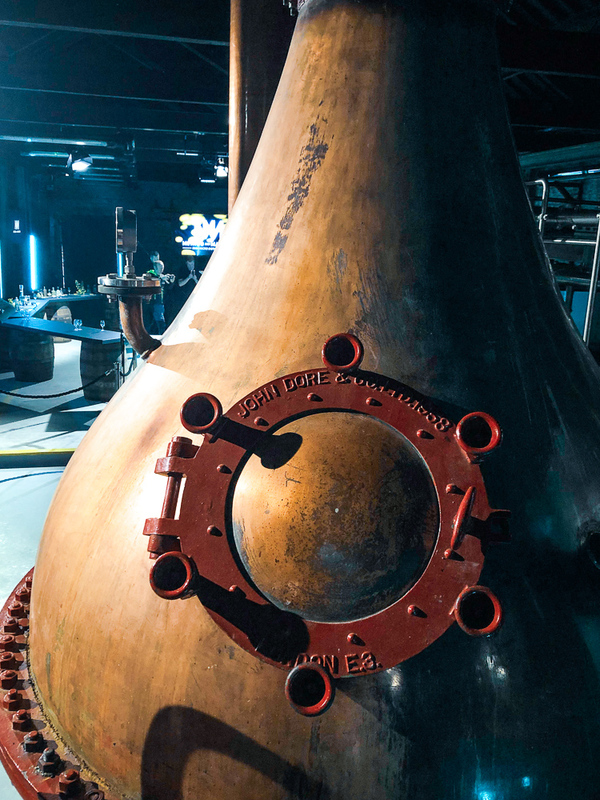 It’s interesting – we meet a lot of distillers, both here in Ireland and abroad, and it’s so often we find that gin is the lucrative stop-gap en route to the final destination of producing whiskey. 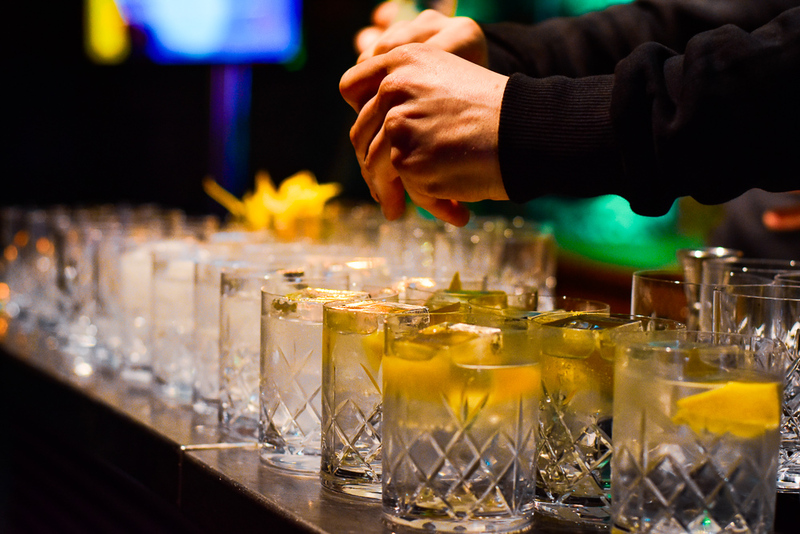 Whiskey is the grail, the cash cow and the vision for the long-term, but gin is short to medium-term fuel. 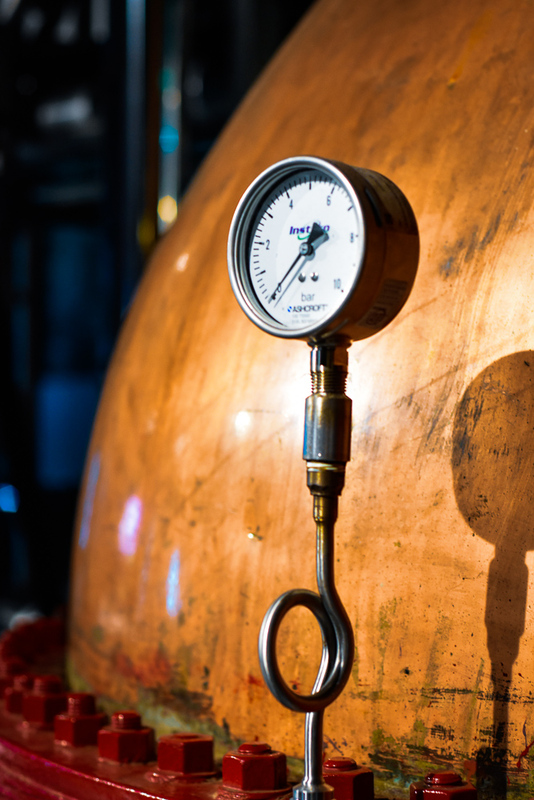 Gin production is quick, straightforward and appeals to the masses in the heart of a renaissance at the moment, so it provides necessary cash flow to keep things moving whilst whiskey reaches maturity. 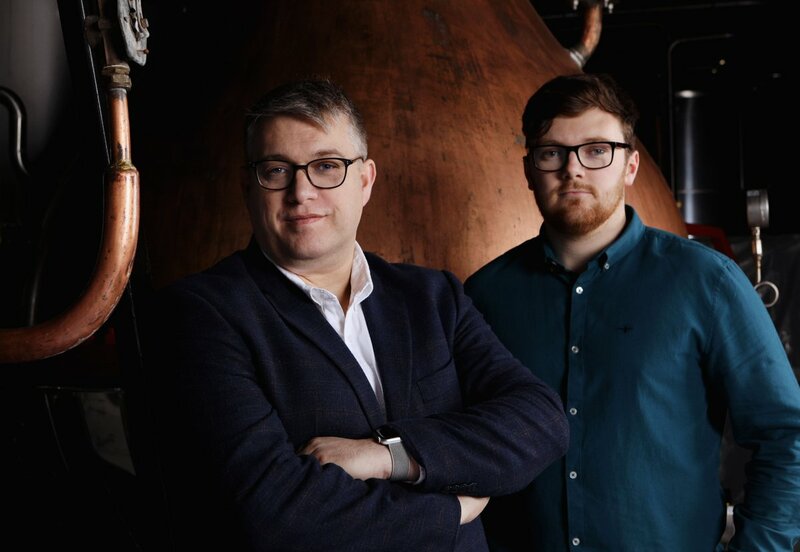 However, Midelton is an anomaly as they’ve taken the complete opposite route – they’ve been creating a wide range of popular whiskies for generation upon generation, but now they’ve decided the time is right to get into gin production and pump a lot of time, effort and expertise into creating the best product possible. 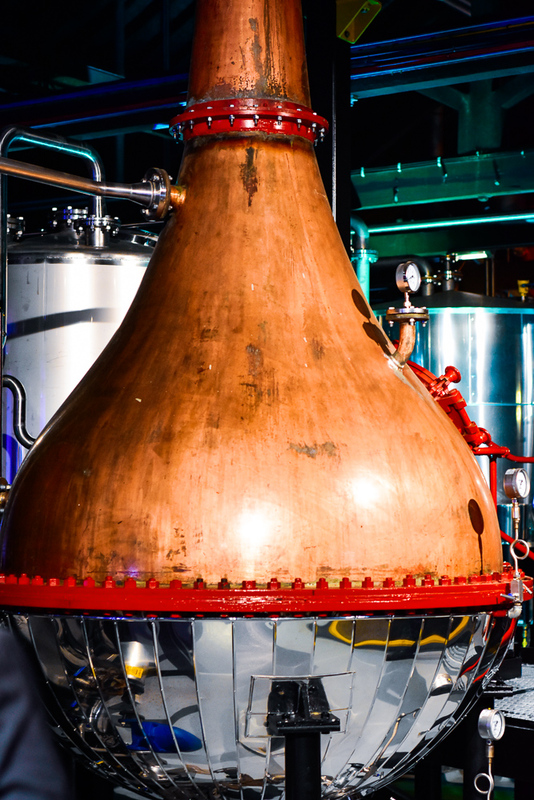 Cork at one point had three times the gin production that the capital city, Dublin, had. 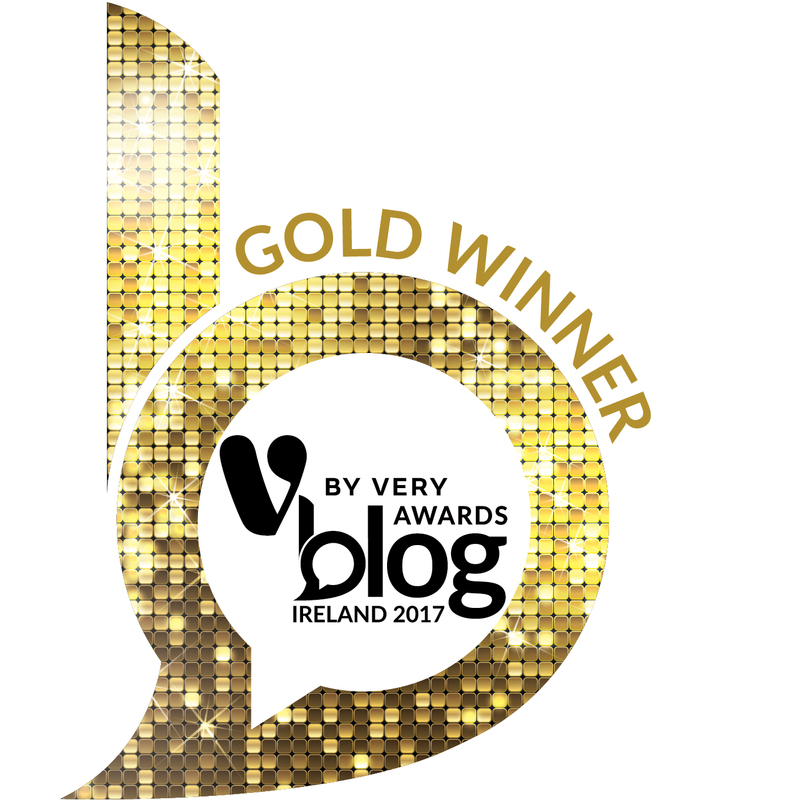 Though Dublin was, at the time, three times larger than Cork was, so there’s a long history of Cork being a leader in spirits production. The second largest natural harbour in the world, second only to Sydney, offered Cork a distinct opportunity as a key port for trade in the 19th and 20th centuries in particular. Cinnamon bark, nutmeg and clove from the Far East; luscious olive oil and thick-skinned lemons from the Mediterranean – we think of these things as daily staples only for our generations, but in the records from 1820s and 1830s, it shows that these too were daily staples in and out of the port of Cork. 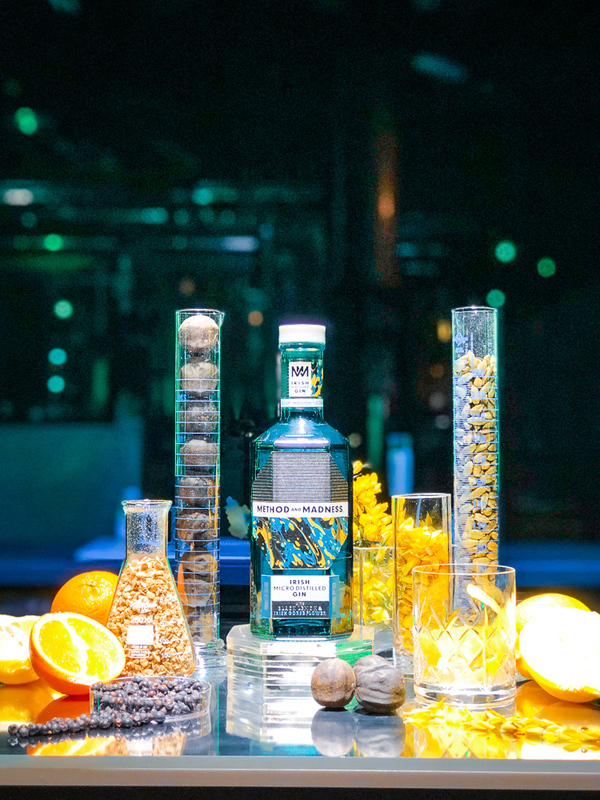 Opening up the little merchant city of Cork as a key player in the global marketplace, gin at its essence is a glorious tribute to global trade, distilling spirit with all manner of globally-sourced botanicals and flavours. But, this is not the first time Midleton has dabbled in small batch gin with a view to its past, in fact some eagle eyed imbibers may remember Crimson Gin which was a super premium iteration “way ahead of its time” the team say. Launched in 2005, it was a little premature for the current gin explosion, and so was somewhat unfeasible to continue and ceased production. “We could have gone back and started up Crimson Gin once again and gone with it,” Brian says, “but this was a real opportunity to create something new and different”. 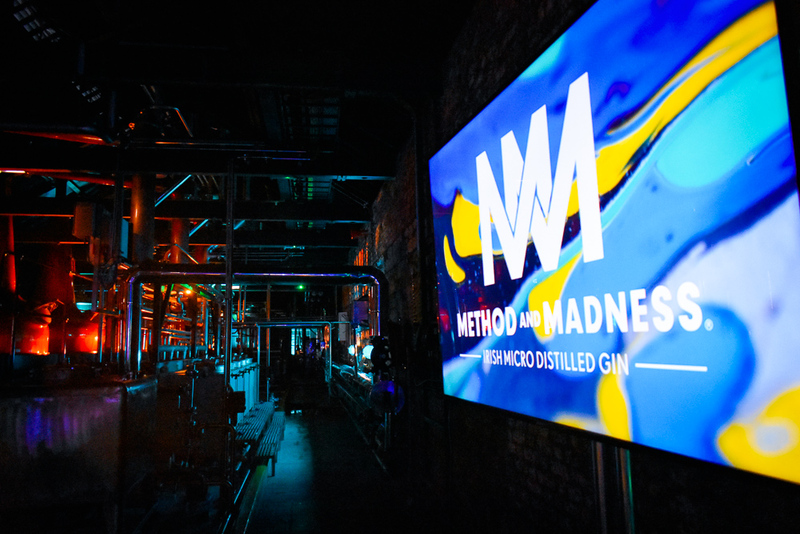 Enter: Method and Madness Gin. 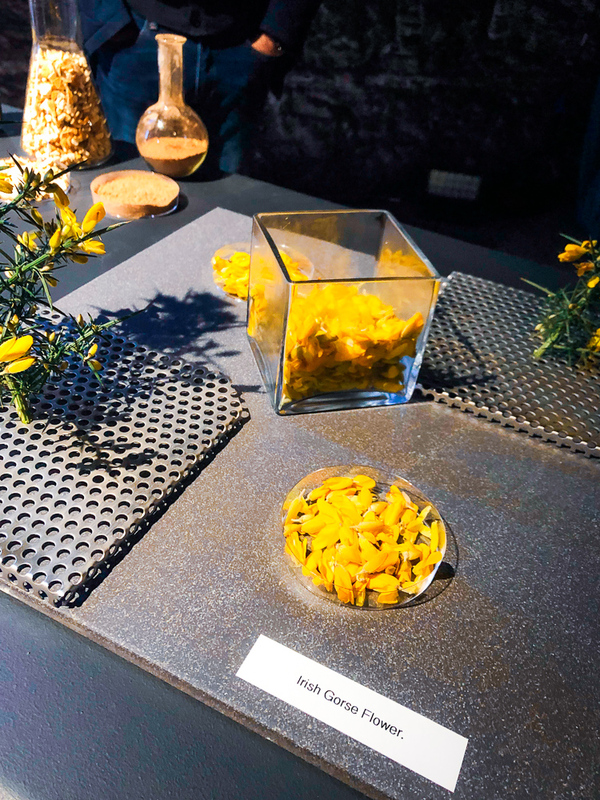 The signature botanicals are two within a 16-strong line-up of flavours, each chosen in a methodical fashion and for different reasons, but wild Irish gorse and black lemon are sitting up the front of the bus with the driver. Black lemon is, confusingly, actually a lime for the uninitiated. Dried in the sun to remove water content and intensify its power, the flavour is bold, pungent and powerful and these originate in the Middle East. Gorse, for its colour and its Irishness, offers a fresh, sweet, floral note, whilst lavender in the background adds delicate floral depth. 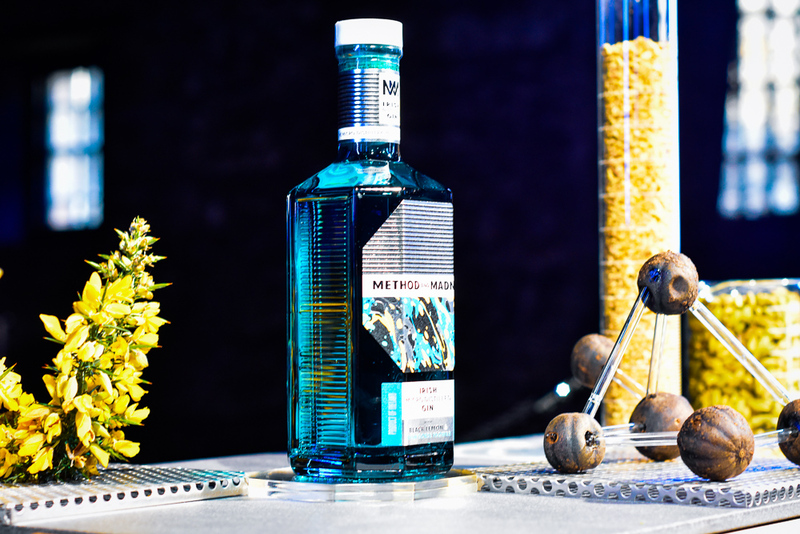 For it to be gin, the largest component needs to be juniper, of course, and it’s here in abundance. “Juniper is to gin as cask is to whiskey, and as the grape is to wine,” Henry quips. 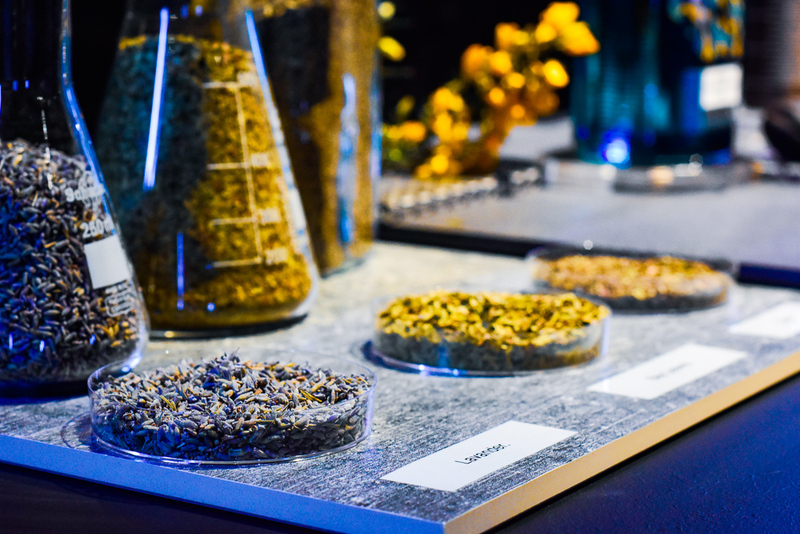 Other key flavours, used more subtly, include bay leaf, basil and grassy, sharp lemon verbena; citrus from a trio of sweet orange, bitter orange and lemon peel; and spice ranging from coriander seed and green cardamom, which feature regularly in most gin production, to the more unusual caraway, nutmeg, cassia bark and ginger. That verbena is surprisingly present in first sniff and first snip – which we always do neat, then decide whether to try as a gin and tonic or a gin martini, both of which will be tried eventually. 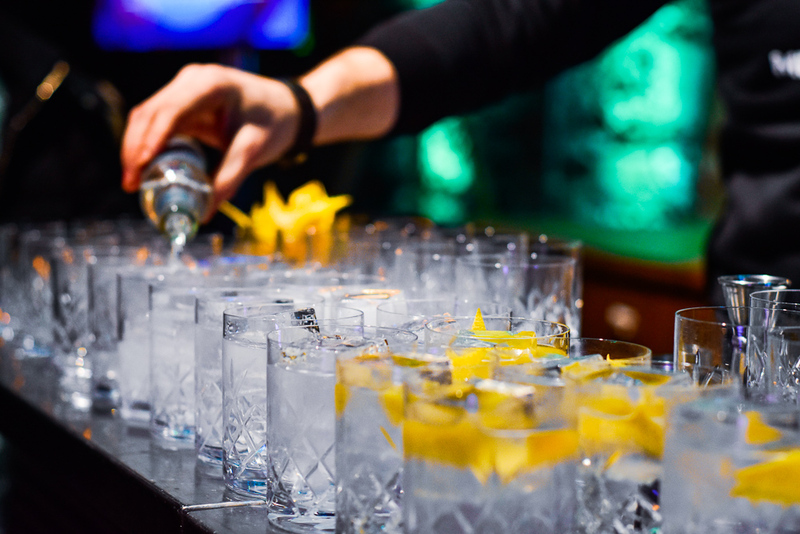 Gin has so many possibilities, from which tonic you pair it with to what kind of dilution works best in a dry or wet martini, so we feel the need to give any and every gin brand the utmost chance in letting its flavours sing. 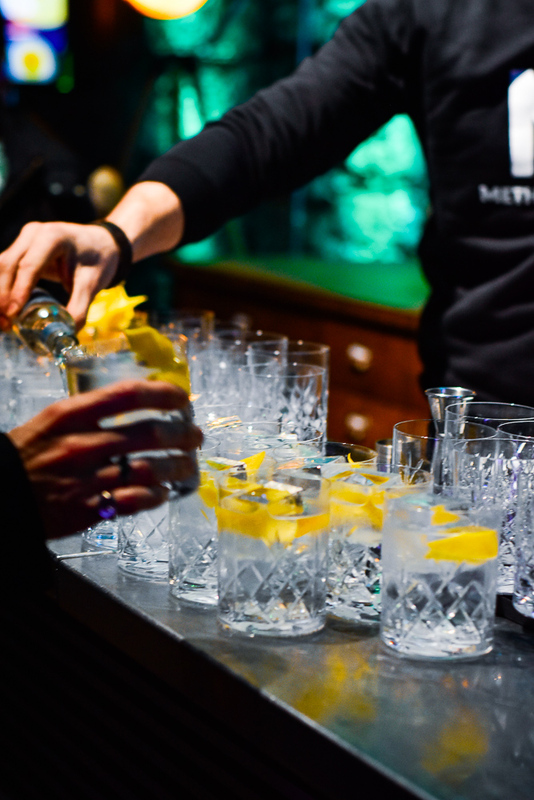 The perfect serve is with Poacher’s Original Irish Tonic, drinks industry legend Oisín Davis’ brand of premium mixers, and with a freshly-sheared lemon peel, spritzed around the glass’ rim before anointing the G&T with its presence. We’re not entirely convinced on this ‘serve’ if we’re honest, as the lemon-on-lemon is a little full-on, but we’re going to keep discovering and exploring all the potential possibilities with this new gin. Sipped neat, it’s intensely creamy and smooth, citrus and grassy freshness at the forefront, floral notes follow and a spicy backnote lingers. 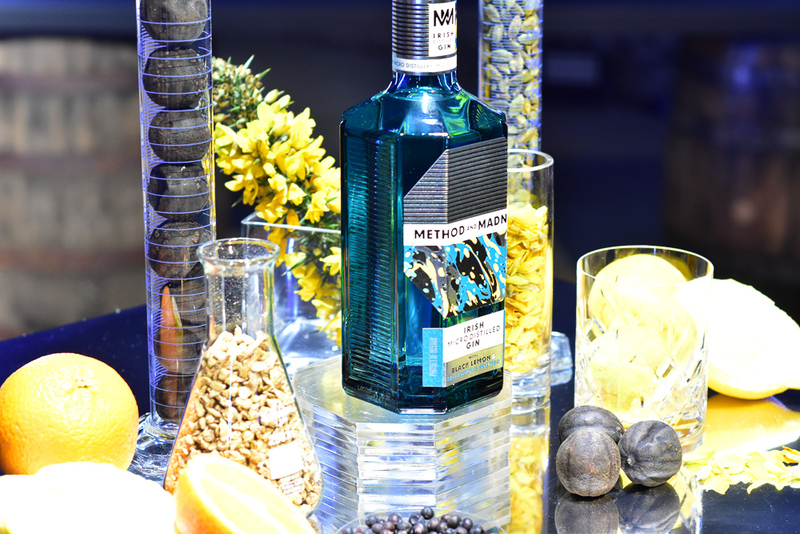 Ultimately, Method and Madness Gin is a masterclass in balance. Then, the design. The most striking thing about Method and Madness as a whiskey brand is its unique packaging and design. Striking, stand-out and contemporary where other competitors in the market focus on heritage, history and tradition. 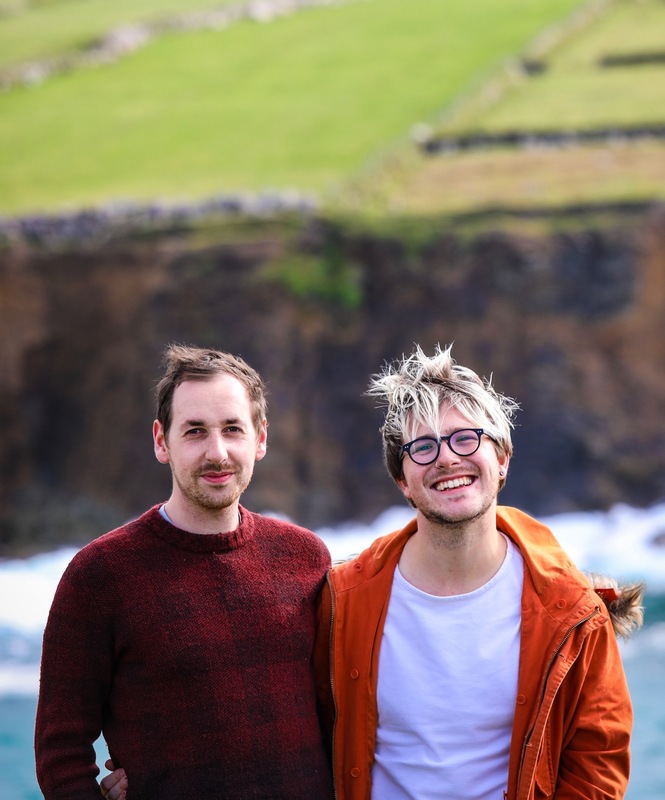 Matthew and Emily of M&E Design have been working with Irish Distillers since the inception of Method and Madness and are as part of the team as anyone in-house. 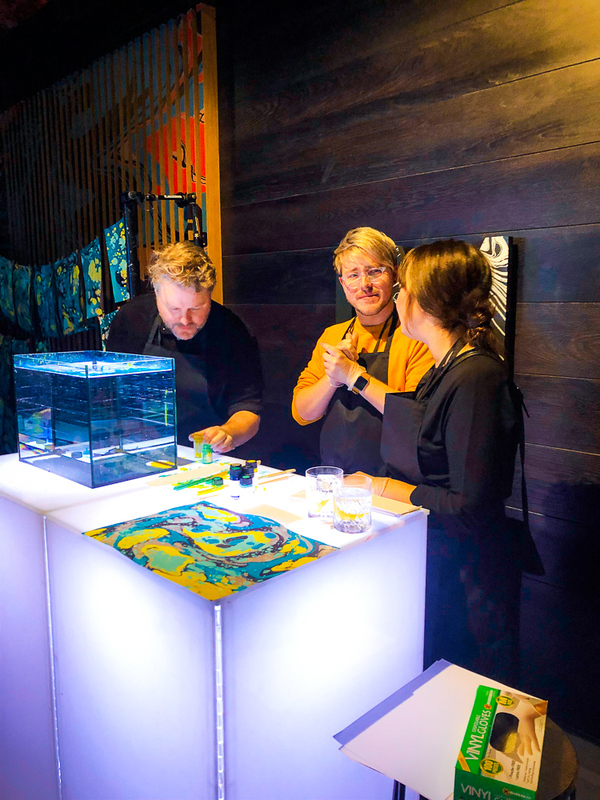 This Irish-Swedish duo, based in both Malmö and Dublin were naturally brought in to continue the brand’s evolution for the new gin launch. 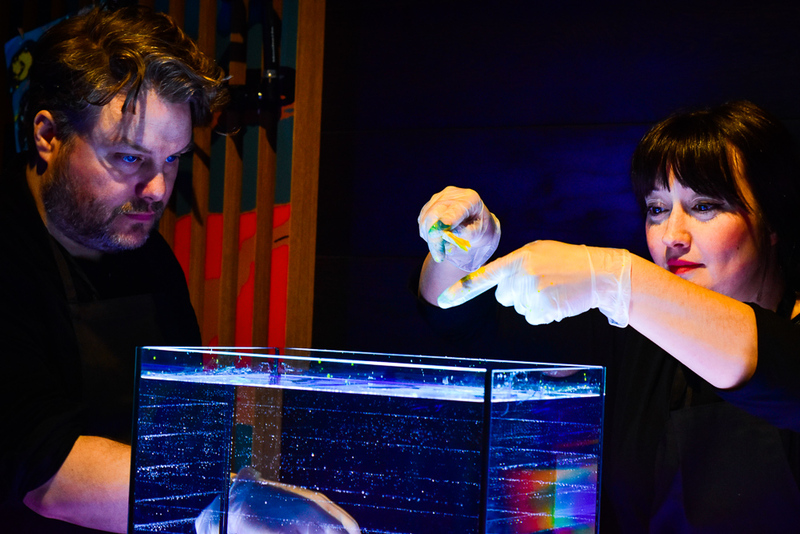 “Method and Madness as a brand has always focused on tradition and knowledge vs. experimentation and innovation, so of course this was taken into account for the visual identity,” Emily told us. “The story and idea of the masters and apprentices is key to the brand, as passion from both sides underpins everything,” Matthew adds whilst explaining that the distinct paper marbelling technique that is splashed across the entire visual identity of Method and Madness dates back to the 1200s, brought later to Europe int he 1600s and whilst going through the Irish Distillers archives they found elements of this used in design ideas from centuries ago. 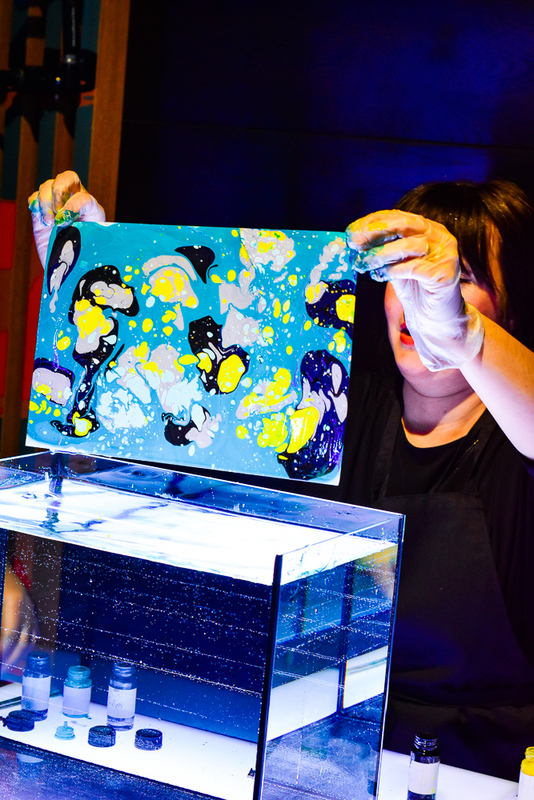 A live workshop at the launch put into perspective how intricate and expressive this process is. 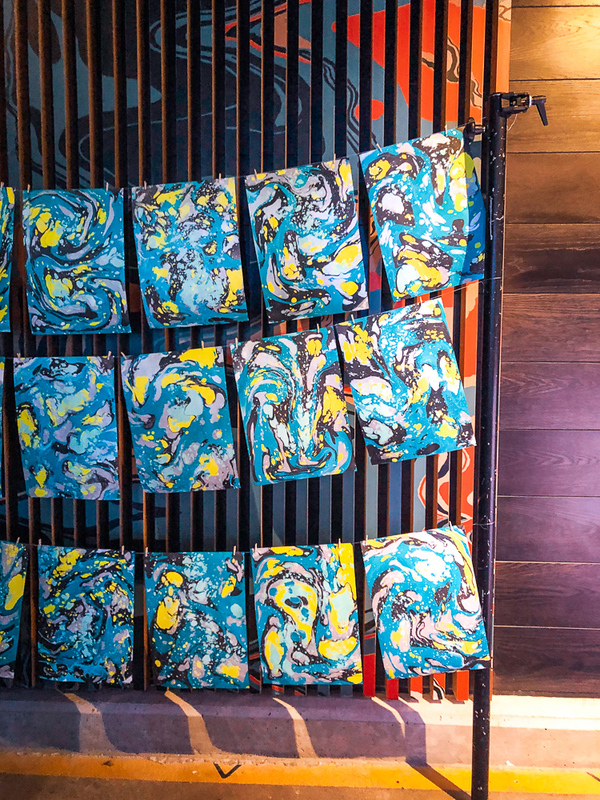 “The visual identity is refreshing and energetic,” Emily explains, “a vibrant palette is mixed with more mature colours whilst the scheme takes inspiration from the gorse flower and black lemon as the signature botanicals whilst the teal colour is the staple brand colour, with nods to nature but amplified”. 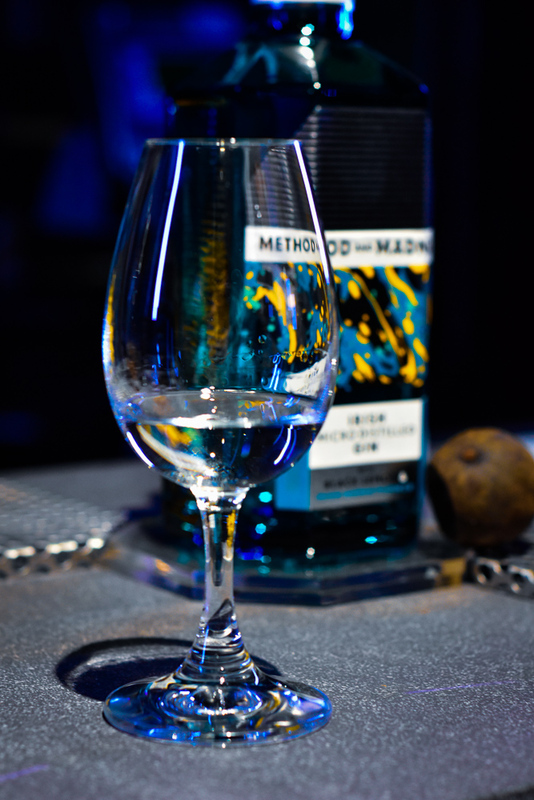 The bottle is unique – “we looked outside of Ireland for the glassware, with one eye to Japans and one eye to the perfume world, as we wanted it to have a real tactile quality and you’ll notice the intermingling pattern detailing both on the exterior and interior of the bottle of Method and Madness Gin,” Matthew offers. 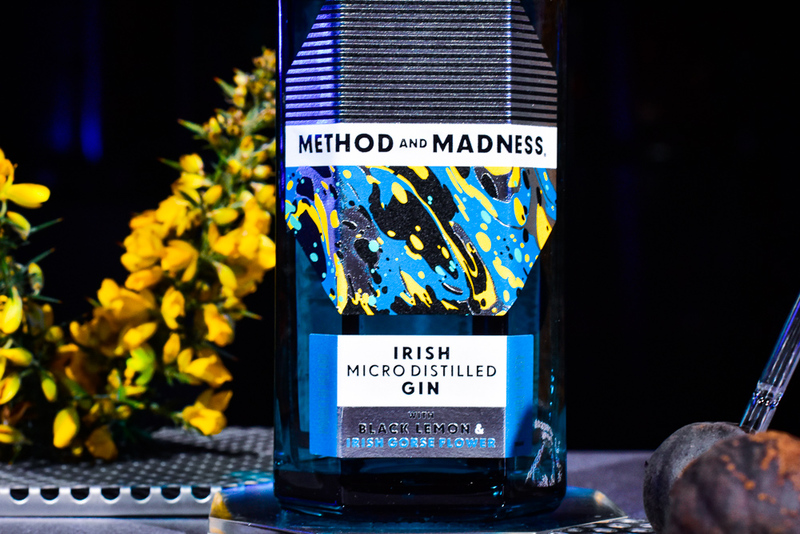 A new chapter in the glorious gin history of Cork has begun with the launch of Method and Madness Gin, which will be available in Ireland and Global Travel Retail from March 2019 and globally from July 2019.